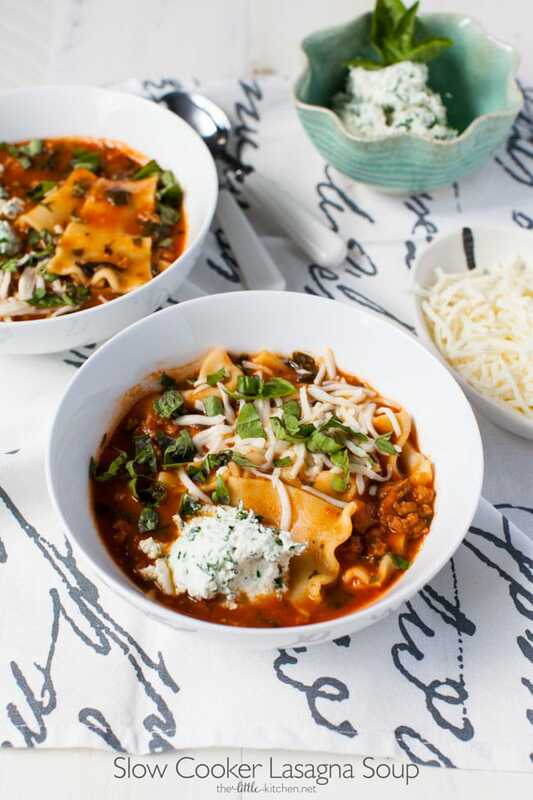 This slow cooker lasagna soup is so wonderful and perfect for fall and winter, as the weather is getting cooler, I will be making this recipe a bunch of times! 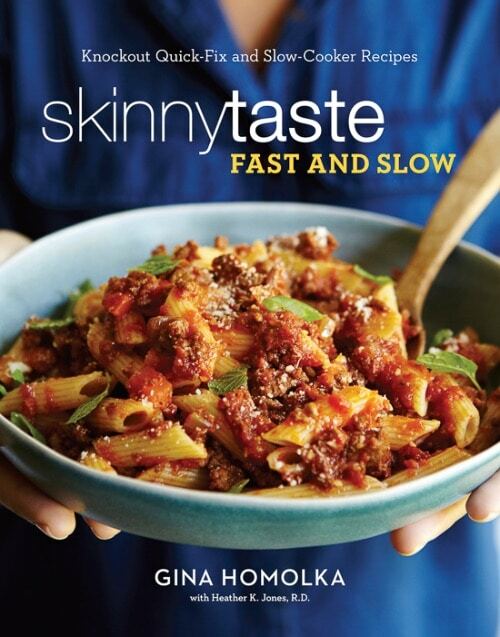 My friend, Gina’s new cookbook was recently released called Skinnytaste Fast and Slow: Knockout Quick-Fix and Slow Cooker Recipes. It’s gorgeous!! It’s a great resource: Gina shares 140 recipes that are quick and easy to make as well as slow cooker meals. I love slow cooker meals! 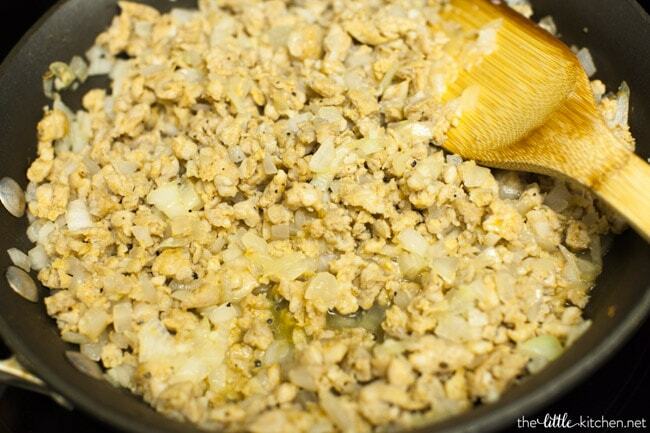 Cook the chicken sausage along with onion and garlic. Add the chicken, broth, water, marinara (I used store bought so I could make prep super easy), parsley, bay leaves and pepper. 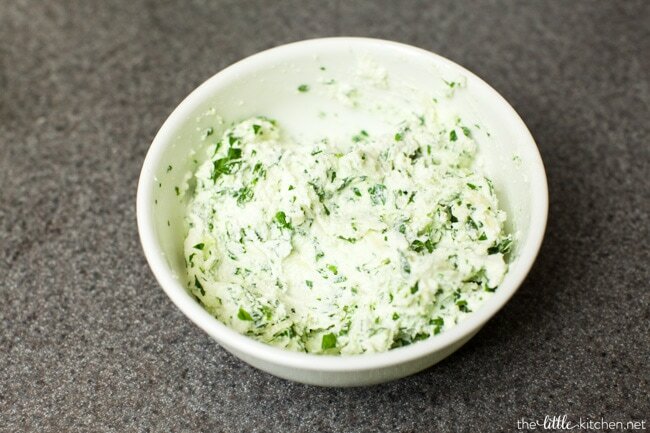 Mix up ricotta and parmesan cheeses and the fresh parsley. Refrigerate and this will be the topping for your soup! 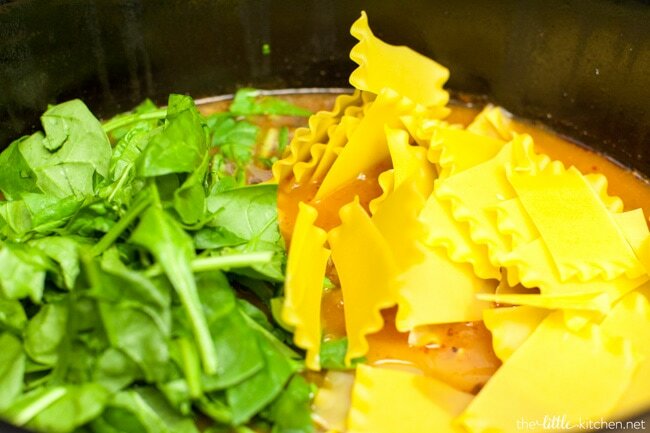 Once the soup is mostly cooked up, you’re going to add the spinach and the broken up lasagna noodles. Let it cook for another 30 minutes. Top with the cheese topping, more mozzarella cheese and freshly chopped basil! 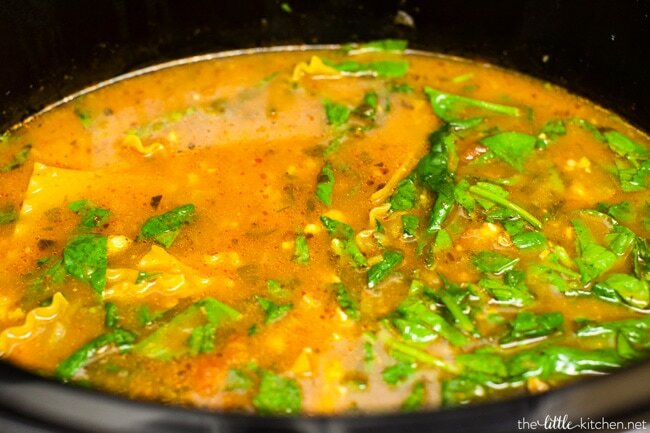 This soup is soooo good! You will love it. It’s so easy to make and the flavor, it’s loaded. One of my new favorite soups, you guys!!! 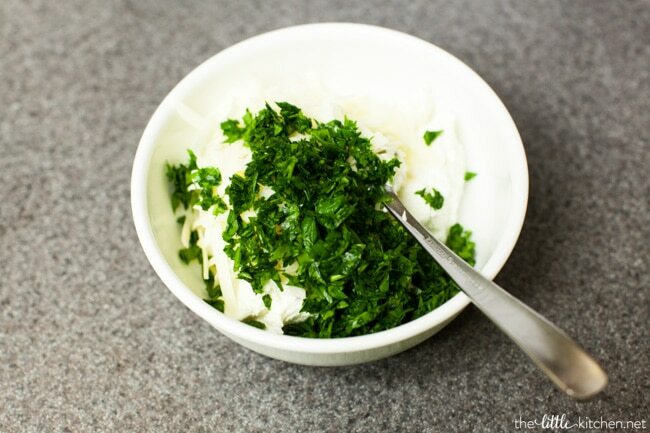 For the topping: In a medium bowl, combine the ricotta, Parmesan, and parsley. Refrigerate until the soup is ready. 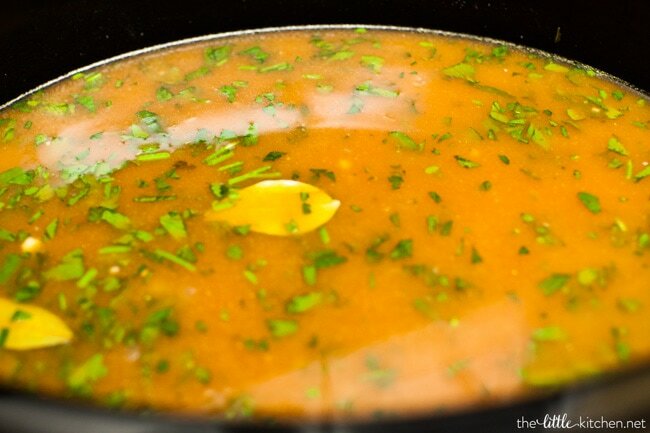 For the soup: Heat a large nonstick skillet over medium-high heat and coat with cooking spray. Add the sausage and cook, using a wooden spoon to bread the meat into small pieces as it browns, 3 to 4 minutes. Add the onion and garlic and cook, stirring, until soft, 3 to 4 minutes. Transfer to a slow cooker and add the broth, 2 1/4 cups water, the marinara sauce, parsley, bay leaves, and pepper to taste. 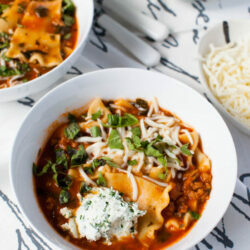 About 30 minutes before the soup is ready, remove the bay leaves and add the spinach and broken pasta. Cover and cook on high until the pasta is cooked, about 30 minutes. 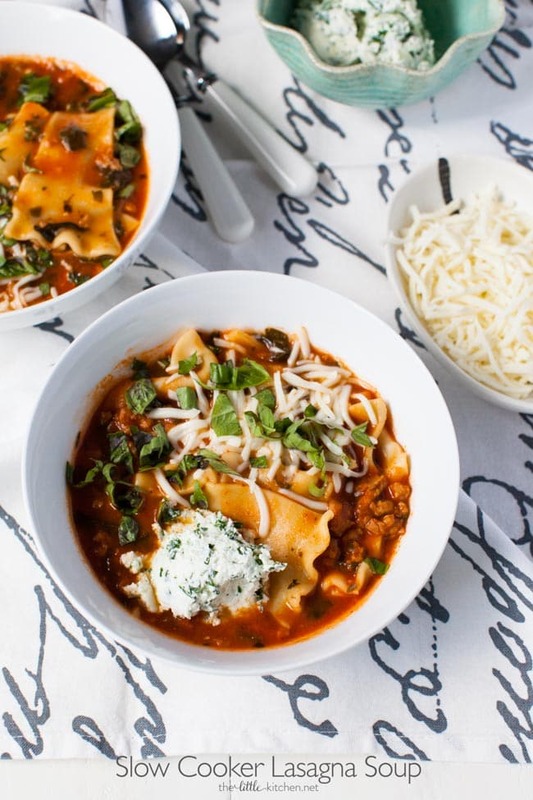 Divide the soup among 6 bowls and top each with 2 tablespoons of the ricotta mixture, and sprinkle with the mozzarella, basil, and pepper to taste. Time-Saving Tip: Using a mini chopper or food processor saves time in the kitchen. I keep mine on my counter to slice and dice all my vegetables. 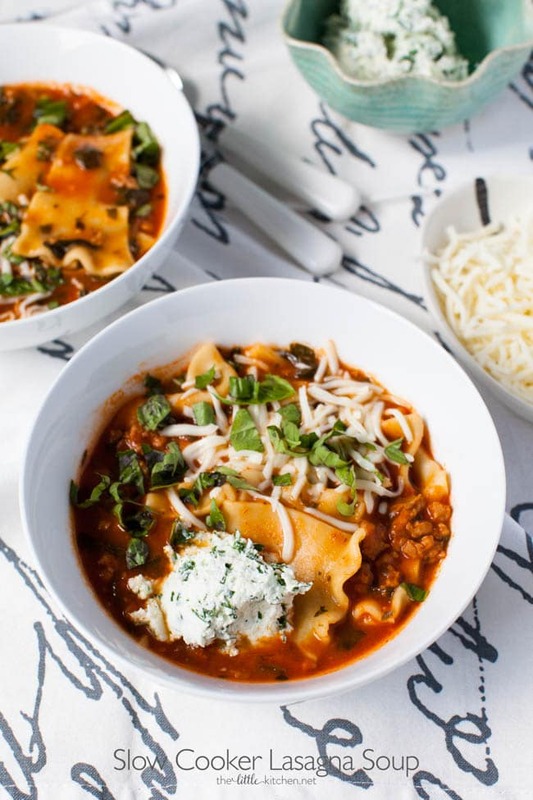 from Skinnytaste Fast and Slow: Knockout Quick-Fix and Slow Cooker Recipes by Gina Homolka with Heather K. Jones, R.D. Disclosure: I received a copy of the cookbook from the publisher. All opinions are my own.